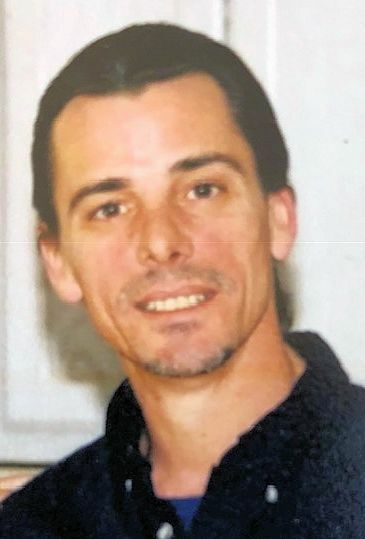 KIDNEY, Sean K., Sr., of Lakeville, formerly of Braintree, passed away on January 27, 2019, at the age of 56, after a long and courageous battle with lung cancer. Born in Quincy, Sean grew up in Braintree and graduated from Braintree High School. Sean enjoyed working at Petroleum Management Services in Wakefield, MA, where he has worked for the past 13 years. In his free time, Sean had a passion for hiking, mountain biking and riding his motorcycle to his cousin Scott’s house, often unannounced. He enjoyed cheering on his favorite Boston sports teams, especially the New England Patriots. A devoted husband, father, grandfather and friend, Sean will be greatly missed by all who were blessed to have known him. Sean was the beloved husband of 31 years to Ruth (Mann) Kidnay. Loving father of Sean Kidnay, Jr. of Worcester and Timothy Kidnay of ME. Devoted brother of Pamela Palma, Kelly Lukas, Johnna Tibbetts, Donald Kidney and Jason Tibbetts. Dear “Papa” to Rachel and Henley. Son of the late Janet (Ciardi) Tibbetts, Arthur “Red” Tibbetts and Donald Kidney. Also survived by several nieces, nephews and friends. Relatives and friends are respectfully invited to attend Memorial Visiting Hours on Saturday, February 2nd from 4:00 – 6:00 PM in the Cartwright Funeral Home, 419 No. Main St. (Rt. 28), Randolph. Burial will be private. In lieu of flowers, memorial contributions, may be made in Sean’s name to the Dana Farber Cancer Institute, P.O. Box 849168, Boston, MA 02284-9168 or to Hope Health Hospice House, 1085 No. Main St., Providence, RI 02904.